“ZODIAC” EVENING DRESS and detail by Elsa Schiaparelli, Winter 1938–39. Gift of Mrs. Rodolphe Meyer de Schauensee. All photographs by Michael J. Shepherd, courtesy of Drexel University. In a sense, “Immortal Beauty” marked a debut more than a century in the making. As the first full-scale retrospective drawn from Drexel University’s Robert and Penny Fox Historic Costume Collection (FHCC), the exhibition and its catalogue showcased the depth of this remarkable assemblage of more than fourteen thousand garments, accessories and textiles. David Updike is an editor at the Philadelphia Museum of Art, which makes use of his incisive writing for exhibition catalogues and other publications relating to the museum. A frequent contributor to Ornament, he recently gave his observations of jewelers Rebecca Myers and Holly Lee, residents of Maryland and Pennsylvania respectively. 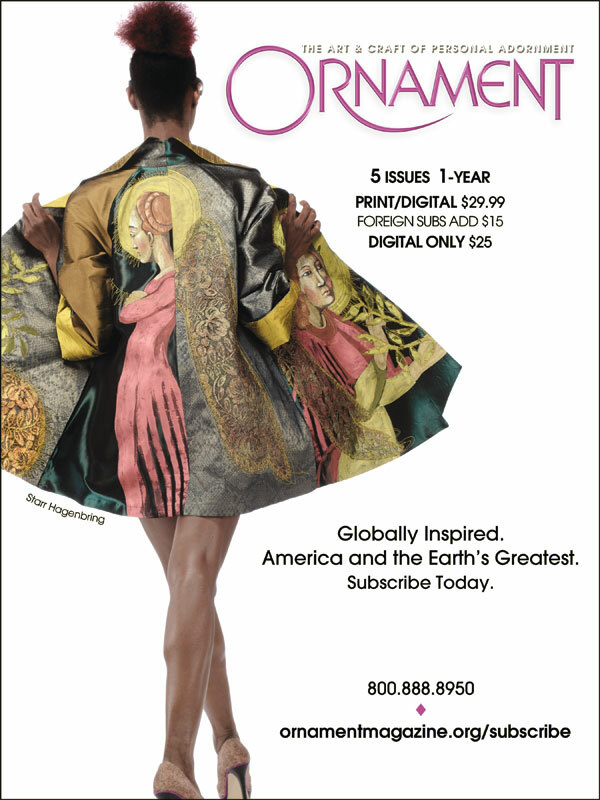 This issue David covers the “Immortal Beauty: Highlights from the Robert and Penny Fox Historic Costume Collection” from Drexel University, where he gives a blow by blow of each gorgeous dress from the university’s extensive holdings.